Do you want to be the talk of the town? Wish to travel in sheer style and class that makes heads turn in appreciation? We are just a phone call away! 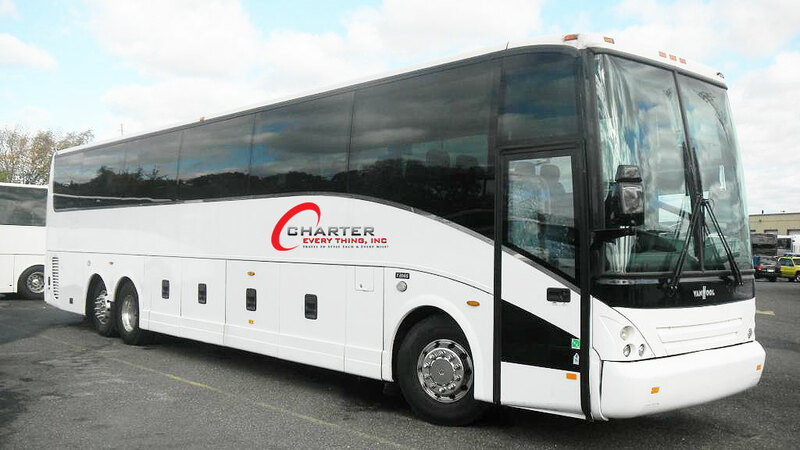 Charter Everything Inc. America’s #1 charter bus rental company, offering out-of-the-box ground transportation solutions in Delaware. Whatever be your travel plans, we ensure personalized charter bus rental solutions for corporate tours, weddings, sightseeing, sports, night out, school events, and everything in between. For over 25 years, we have been providing top-notch group transportation solutions backed by highest safety standards, professionalism, and 100% customer satisfaction. We acclaim an extensive fleet of modern and well-maintained vehicles operated by experienced and amicable chauffeurs who promise the most pleasant and hassle-free ride through the streets of Delaware. No more hassles of parking, no more worrying about weather or traffic; we will transport you to your destination ensuring you enjoy the trip to the fullest. Our reservation agents are available 24/7, 365 days a year to help you book a customized charter bus rental package that suits your needs and budget. Last minute travel plans? Do not worry. We accept bookings in as less than 1 day! 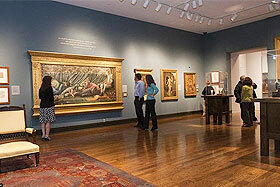 Planning a fun-filled sightseeing tour of Delaware? Discuss your travel plans with us, and our experts will create the right itinerary to ensure the most hassle-free group transportation experience. Depending on the group size, we will help you choose from our wide selection of charter buses, all equipped with safety parameters and modern comforts. From 61-seater deluxe motorcoaches to 38-seate minibusses, sprinter vans, party buses, and limousines – we have it all to fit into your group size, needs, and budget. The quaint little state of Delaware packed with some of the finest beaches, intriguing history and culture, and fine arts. 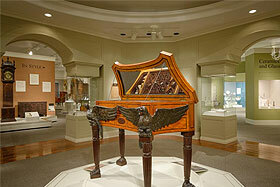 Visit the famous Winterthur Museum and Gardens to witness America’s best decorative arts, or spend fun-filled moments with family and friends at Delaware’s white sand beaches. 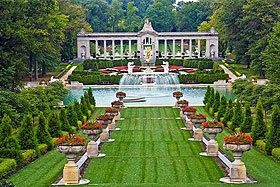 The sheer beauty of Nemours Mansion and Gardens will captivate your senses, while the Delaware Art Museum’s collection will help you discover America’s fascinating art form. Get on board with Charter Everything Inc., and we ensure an unforgettable trip to Delaware. 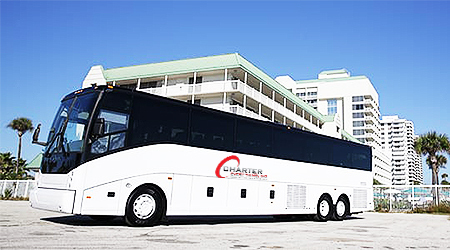 With Charter Everything Inc., book professional charter bus rental service for your next business trip, convention, corporate meeting, trade show, or seminar in Delaware. Having vast industry experience and the best fleet of vehicles, we provide customized group transportation solutions for your entire group, VIPs, and guests. We have been serving high-end corporate clients for decades, and we value their need for punctuality and professionalism. With us, you are free to create your own itinerary and our skilled chauffeurs will follow the same to ensure superior satisfaction. We also provide door-to-door pickup and drop service, saving you good time and money. Our corporate charter bus rental service encompasses everything from airport transfers, sightseeing, hotel shuttles, guest transportation, parking, and navigation. This ensures complete peace of mind so you can focus on what you are best at. Our corporate fleet includes deluxe motor coaches with 61-passenger capacity, 38-seater mini buses, and plush limousines for VIP transportation. All of our vehicles are appointed with hi-tech solutions to let you stay connected to your work on the go. For your next big event, trust us for top-notch charter bus rental service, delivered with unmatched safety and affordability. When you plan a special event in a state like Delaware, the responsibility of guest transportation lies with you. Let Charter Everything Inc. take the hassle while you pay attention to making the event successful. Whether it is a trade show, exhibition, prom night, school field trip or any other occasion, we promise safe, comfortable and timely transportation solutions. For larger groups, our massive 61-seater motor coaches with modern amenities are the perfect option. Have a smaller group size? Pick from our range of 38-seater mini buses, sprinter vans or limousines. To avoid on-road problems, we ensure maintained and well-serviced vehicles. We screen our chauffeurs for the safety of all our passengers. Thus, we promise to make every event – big or small – fun and enjoyable for everyone. From professional athletes and sports teams to dedicated fans, Charter Everything Inc. is there to get you in style and on time for your next big match. We provide the best charter bus and minibus rental service, handling all your logistic requirements with a personalized touch and dedication. Our “larger-than-life” sports charter buses have varying passenger capacity to fit your entire team or fan group. All the vehicles have oversized luggage compartments to help you carry all your baggage, sports equipment, and carry-on items. Stay entertained and boost up for the game indulging into our onboard modern comforts that include plasma television, music systems , Wi-Fi connectivity, microphones and PA systems, etc. To have more details of our fleet, please contact our travel experts who are available 24/7 to help you book luxury charter bus rental for your next sports event. On the special day of your wedding, transportation should be the last thing boggling your mind. At Charter Everything Inc., we provide you with complete relief from the stress of how you or your wedding guests will arrive at the venue. We will handle every aspect of your wedding transportation so that you can focus on making the day most memorable for everyone. Our deluxe motor coaches are ideal to transfer a large group of wedding guests, ensuring them unparalleled comfort and convenience. For out-of-the-town guests, we provide cross-state ground transportation, as well as airport and hotel shuttle from anywhere in Delaware. For the bride and the groom, we have luxury wedding limousines designed to let you travel in absolute style and sophistication. Our well-appointed party buses are the best choice for fun-filled bachelor or bachelorette parties. We also offer dedicated charter bus rental service for a bridal shower, rehearsal dinners, your Big Day, and everything between. At Charter Everything Inc., we focus on passenger safety over everything else. And we live up to the expectations of our clients by raising the bar. We ensure having the most competent drivers and technicians who undergo a rigorous background check to find out credibility. All of our drivers have good experience driving on the roads of Delaware, backed by high-quality training reinforced by DOD, DOT, FMCSA, and state regulations. They have the instinct to identify unexpected traffic or weather conditions beforehand and take precautionary measures to ensure you reach your destination safely and on time. Our vehicles include advanced diagnostic and technology systems, and undergo regular maintenance to help us deliver upon outstanding safety parameters.